San Diego, CA – April 01, 2019 – The National Indian Gaming Association will present the 9th Annual Tim Wapato Sovereign Warrior Award to Mel Tonasket, former Chairman of the Coleville Business Council and President of the National Congress of American Indians. The Tim Wapato Sovereign Warrior Award will be presented during the Indian Gaming 2018 Cultural Ceremony on Tuesday, April 02, at the San Diego Convention Center in San Diego, CA. The award is given to individuals who have worked tirelessly to protect Tribal Sovereignty and Indian gaming. National Indian Gaming Association Chairman Ernie Stevens, Jr., applauded the leadership of Tonasket, upon the announcement. He said, “Mel has spent his whole career defending tribal sovereignty, and he has continued to work for all of us in what he has done nationally, regionally and for the Colville Tribes. We are honored to be presenting one of the most powerful warriors of all time with the distinguished award." 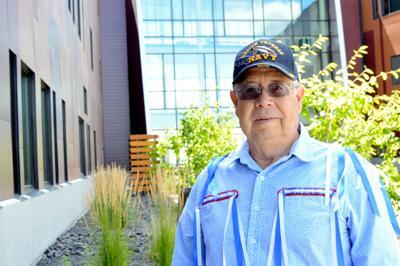 Tonasket has served as an elected official for the Colville Tribes at various times since 1970 and has served as the Colville Tribes’ Chairman and other leadership positions during his years as an elected official. From 1973-1976, Tonasket served as President of the National Congress of American Indians (NCAI). Mr. Tonasket led the Colville Tribes’ fight against termination and as President of NCAI mobilized national support for major tribal legislation, including the Indian Health Care Improvement Act and the Indian Child Welfare Act. He was a member of the American Indian Policy Review Commission for two years and has represented United States tribal governments at the World Council of Indigenous Peoples and the Inter-American Indigenous Conference in Brazil. Tim Wapato, who passed on in April 2009, was a citizen of the Wenatchee Band of the Colville Confederated Tribes in Washington State. He retired from the Los Angeles Police Department in 1979 and went on to be the executive director of the Columbia River Inter-Tribal Fish Commission, and in 1989 he was appointed Commissioner of the Administration for Native Americans. Following his federal service, he served as the first Executive Director of the National Indian Gaming Association. The Tim Wapato Sovereign Warrior Award was established by NIGA and Wapato’s family and is presented to a member of our tribal community who shares the passion and drive that Tim Wapato had for Tribal Sovereignty and all people throughout Indian country.